Recently, there has been more and more talk about hemp CBD oil. Scratching your head? How exactly is hemp CBD oil different from cannabis CBD oil? What’s the difference between hemp oil vs CBD oil? Aren’t they the same thing? Let’s take a look at the differences between hemp-derived CBD, hemp seed oil and cannabis derived CBD, so you can find the product that’s right for you. 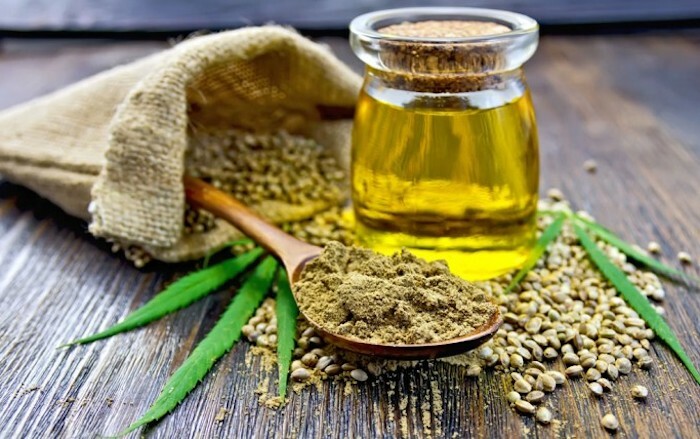 Hemp Oil vs CBD Oil: What is Hemp-Derived CBD Oil? Hemp-derived CBD oil is derived from industrial hemp plants. These plants have been grown by many civilizations throughout history for their fiber, excellent for making rope, paper, and sails for ships. Nowadays, hemp is making a major comeback. It’s grown for cleaning soil, making biodegradable hemp plastic, and even making hempcretes which can be used to build houses. However, hemp’s real cash cow is hemp-derived CBD products. Because of the 2014 Farm Bill, hemp with high levels of CBD but only trace amounts of THC, can be grown around the U.S. in accordance with state-sponsored programs. Then, these hemp-derived CBD products, like oils, capsules, and even vape cartridges, can be bought and sold around the U.S.
Hemp-derived CBD products have tons of medical benefits. They can help with inflammation caused by autoimmune disorders and they can reduce the amount of seizures in people and children with epilepsy. These CBD oils are also known to help people with anxiety, insomnia, and chronic pain – and that’s just the beginning. New uses of hemp-derived CBD are being discovered constantly. Hemp seed oil, often simply called “hemp oil” is different than hemp-derived CBD oil. Hemp seed oil products are not derived from the flowers, leaves, and stalks of industrial plants like hemp-derived CBD. Instead, hemp oil is made from hemp seeds which do not contain any CBD or other cannabinoids. However, hemp seed oil does contain a ton of vitamins, minerals, protein, and healthy fatty acids, like omega-3 and omega-6, making them a great addition to any well-balanced diet. Sometimes called hemp hearts, hemp seeds are the next big super food and hemp seed oil is right behind. Like the name implies, cannabis-derived CBD is produced from cannabis plants. In the eyes of the law, cannabis plants are those with more than trace amounts of THC, even if they also have large amounts of CBD. For now, cannabis is only legal for adult and medical use in select states, so cannabis-derived CBD products can only be purchased at medical or recreational cannabis dispensaries. These products are often sold with the ratio of CBD to THC clearly marked. Products with 1:1 or 3:1 CBD:THC may have some intoxicating effects, while products with ratios of 8:1 CBD:THC or higher, probably won’t be very psychoactive. Many people with medical ailments prefer cannabis-derived CBD products that contain some THC. They believe it’s more effective than hemp-derived CBD or CBD isolate because of the entourage effect. The only problem is, many people in the U.S. do not have access to legal cannabis CBD products, so full spectrum hemp-derived CBD oils are the next best thing. Hemp oil vs CBD oil is pretty clear cut once someone explains it, it just depends on what you’re looking to use hemp, CBD or cannabis for. If it’s for medical reasons, stick to hemp-derived or cannabis-derived CBD products. But if it’s a well-balanced meal you’re looking for, hemp oil or hemp seed oil is the way to go.